This piece was designed to be worn with either casual everyday wear or with formal dress wear. 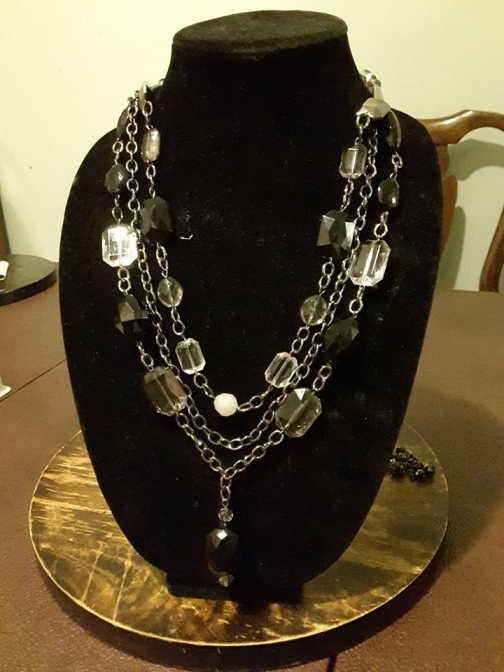 This piece will spice up that little black dress, add a little drama to your favorite turtleneck and jeans, and still compliment your formal wear in the evening. Order today!